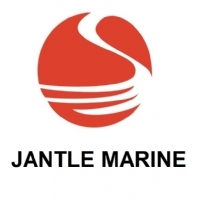 Anhui Jantle Marine Engineering Co. Ltd. (AHJT) is an Integrated Chinese Maritime Engineering and Project Management company offering turnkey solution to international clients keen to take advantage of very competitive prices while maintaining the highest quality standard in the Conventional and offshore market. In addition to Jantle Marine in-house capability and deliverables, the company is fully supported by five other medium and large scale shipyards in China bringing the total number of manpower under employment to 4000 proud to have built and successfully delivered any and all types of marine vessels including but not limited to Deck Cargo Barges, Tugboat, AHT & AHTS, PSV, ROV, Pipe-laying Ships, Accommodation/Crane Work Barges, DP3 capabilities, Product Tankers, General Cargo Ships, Semisubmersible Drilling Rigs, Jack Up Rigs, Drill Ships, FPSO, FSO, LNG, LPG and Bulk Cement Carriers. Anhui Jantle Marine Engineering Co., Ltd.